Piñata Farms plans to grow its seasonal workforce to 50 staff within the next two years. 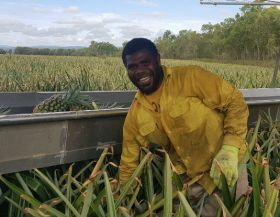 The leading fruit producer is among Australia's approved agricultural industry employers recruiting seasonal workers from the Pacific Islands under the federal government's seasonal worker programme (SWP). Eighteen seasonal workers are currently employed at Piñata Farms' mango and pineapple farms in the Northern Territory and North Queensland. Under the scheme, employees are permitted to work in Australia for six months at a time and to return for consecutive seasons after a six-month break. "We have a few, loyal returning Australian workers but generally Australians are unwilling to do manual farm work," said Piñata Farms’ North Queensland operations manager, Stephen Scurr. "Without international seasonal workers, it would be virtually impossible to manage harvesting. 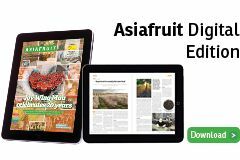 They are absolutely critical to the survival of Australia's horticultural industry." The workers have been recruited from Vanuatu - one of nine participating Pacific Island countries - due to Piñata Farms managing a sandalwood and lime plantation there. The Vanuatu operation employs 25 Vanuatuans, many of whom have worked on Piñata's farms in Australia through the SWP. Scurr said Piñata Farms became involved in the scheme after his brother, managing director Gavin, saw first-hand the scale of devastation caused by Cyclone Pam when it struck Vanuatu in early 2016. "We thought the best we could do to help the region rebuild was to provide work at our farms,” he explained. “We now employ a labour provider to source and provide staff and manage their clearance to work here." Scurr said an ongoing challenge was to provide suitable short-term accommodation for the SWP workers. “Our goal is to have 50 people working in the Northern Territory by next year or the year after. However, finding accommodation for 50 people for six weeks of the year is a challenge,” Scurr said. “We're able to provide accommodation and transport for the current intake and we're talking to hostel providers in Darwin as our intake increases in the future."